Have you ever wanted to say “I love you” in egg-form but never quite known how? Alright, so the vast majority of people are unlikely to have felt such an urge but for those that have, this neat little Eggspress heart-shaped boiled egg mould might be just the thing! When I was first invited to review an Eggspress on the blog, I immediately said yes. Eggs are a staple foodstuff in our house and we get through a fair few. So I’m always open to new ways to serve this most ovate of ingredients. But on receiving my Eggspress, I realised it was actually for moulding cold, hard-boiled eggs. I’d assumed for some reason it was a mould in which to poach an egg, which actually would have been slightly more useful I think. My family doesn’t really eat all that many hard-boiled eggs. I much prefer them soft-boiled so I can dip my hot buttered soldiers into them on a lazy Sunday morning. Anyway, on Saturday I tried the Eggspress out on my daughters. 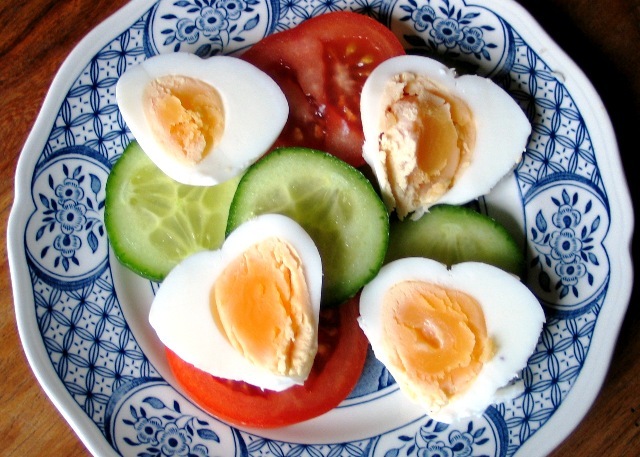 They were having a cold tea and I thought some hard-boiled eggs might make a nice addition. The idea is you hard-boil your egg, leave it to cool, remove the shell and then place it into the Eggspress mould. Once you’ve firmly closed the mould, you then leave it for another 10 minutes immersed in cold water while the egg is squeezed into a heart-shape. To be honest, I found all this a little bit of a faff. The instructions say it should work on small to medium eggs, but I found my medium eggs were still a little too big and had to be forced into the mould – which probably explains why they came out slightly wonky! While I don’t think the Eggspress will end up getting much use in the Bangers & Mash house, maybe it’s more your cup of tea? 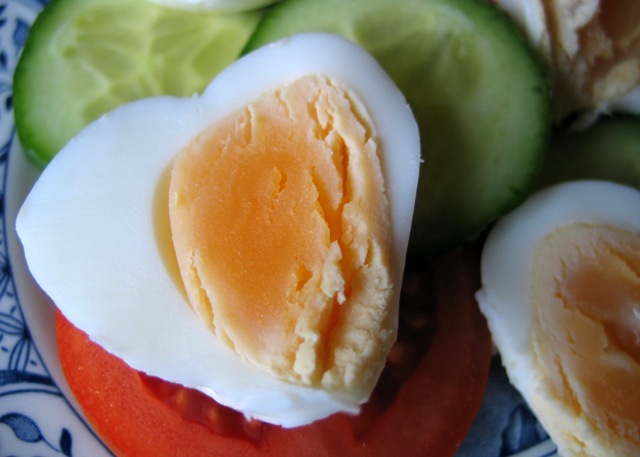 If you’re the kind of person who prefers their eggs small, cold and hard-boiled and has a penchant for anything heart-shaped, then you really need to have one! I have one Eggspress to give away to one of my blog readers. Simply add a comment below letting me know you’d like one before midnight on Thursday 14 February, and it could well be yours. The first name drawn from the hat after the closing date will be the lucky winner. Disclosure: I received two complimentary Eggspress moulds for review and giveaway purposes. No money exchanged hands. Not really my sort of thing either, so I am not entering the competition but I have seen them (and panda-shaped ones) on Japanese sites. I thought the eggs had to be warm when they went into the moulds? I can see why you agreed to try it out – sounds like a good idea… Hard-boiled eggs are something none of us eat here, but my daughter’s first thought when she saw the photo of the mould was that it could be filled with melted chocolate and used to make heart-shaped truffles! On those grounds, I think it would be best if I don’t rush out to buy one!